It has been a long struggle for women to take up their rightful leadership positions in society and they have done a good job of it. Women have proved they make some of the most effective leaders in the world. They have established themselves in different fields that span all industries, including politics, corporate and government. The following are our top three most influential and powerful female world leaders who demonstrate exemplary leadership qualities. Queen Elizabeth II acceded to the throne on 6 February 1952 and was crowned on 2 June 1953. She is the Queen of United Kingdom, Great Britain and Northern Ireland, as well as Queen of other external kingdom territories like British Indian Ocean Territory, Falkland Islands, Cayman Islands and British Virgin Islands. The Queen is also head of the 54-member Commonwealth of Nations. Additionally, Queen Elizabeth II is Supreme Governor of the Church of England and carries the title of Defender of the Faith in some of her royal domain. Put together, her influence in all the countries she heads places her at the top of the list of most influential female world leaders of our time. Angela Merkel was elected German Chancellor in 2005. Soon after taking up her duties as Chancellor, Merkel quickly become an important figure not just in German politics, but also in world politics. Her role in the European Union became particularly important after the start of the global economic crisis because Germany remained one of the few financially stable countries capable of bailing out debt stricken EU countries like Spain and Greece. In addition to her role as German Chancellor, Angela Markel was the Chairperson of the European Council and President of the Group of Eight. She became the second woman in history to chair the Group of Eight (G8) summit in 2007. Angela Markel is celebrated in her country for her staunch focus on sustainable energy policies for the future and her health care reforms. Across the European Union and the rest of the world, the Chancellor is hailed for her dedicated efforts to ensure the EU does not collapse. Hillary Rodham Clinton, born October 26, 1947, closes our list of top three most influential female world leaders. She was the United States First Lady in Bill Clinton’s administration from 1993 to 2001. During this time, she participated in public policy processes and was actively involved in aiding her husband perform his executive duties as the president of the United States. From 2001 to 2009, Hillary Clinton served as the US Senator elect for the state of New York. In 2008, Hillary narrowly lost to Illinois Senator Barack Obama for the Democratic presidential nomination. Obama acknowledged her resourcefulness and appointed her the Secretary of State in his presidential cabinet. 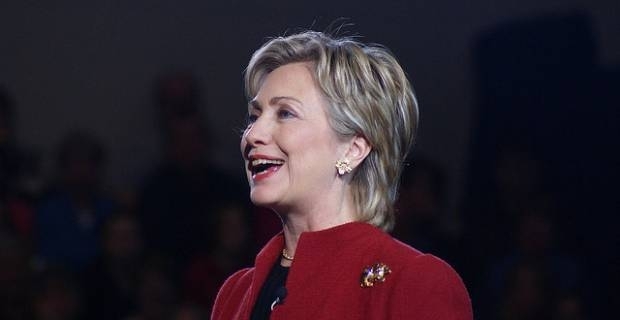 As of 2012, Hillary Clinton’s approval rating and powerful influence has inevitably set her as the Democrats’ preferred candidate for the 2016 White House campaign when Obama’s second presidential term ends. This is despite the fact that Hillary has repeatedly said she will not run for presidency again.